Tasting Notes: The Garda Chiaretto is prized for its fragrance and its delicate perfume. 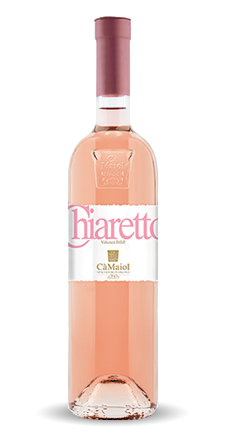 Aromas of strawberry and delicate spring flowers, elegant mouthfeel, and flavors of white almonds and red berry fruits. Food Pairings: Freshwater fish, poultry, or mushroom-based dishes. Perfect with pizza. Grapes: Barbera, Sangiovese, Marzemino and Groppello. Alcohol Level: 12 % Vol. Giomè is the union of two major grapes varieties in the area of Lake Garda, Groppello, Marzemino, Barbera and Sangiovese. 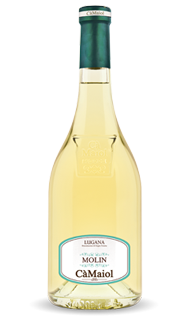 A delicate perfume with a hint of almond and a dry taste with a saline hint. Straw color with greenish reflections. Molin has a choice of the estate’s oldests vines, and takes its name from the old company cellar.